JAMES IS HITTING THE ROAD AND HEADING SOUTH FOR A SPECIAL RUN OF OCTOBER SHOWS! Exciting news for our friends below the Mason-Dixon... James is hitting the road and heading south for a special run of October shows! Tickets are currently available, and we hope to see you there! Join James at The Basement in the heart of Music City on Monday Oct 14th at 7pm. More info on the venue's website -- click HERE. ATL! 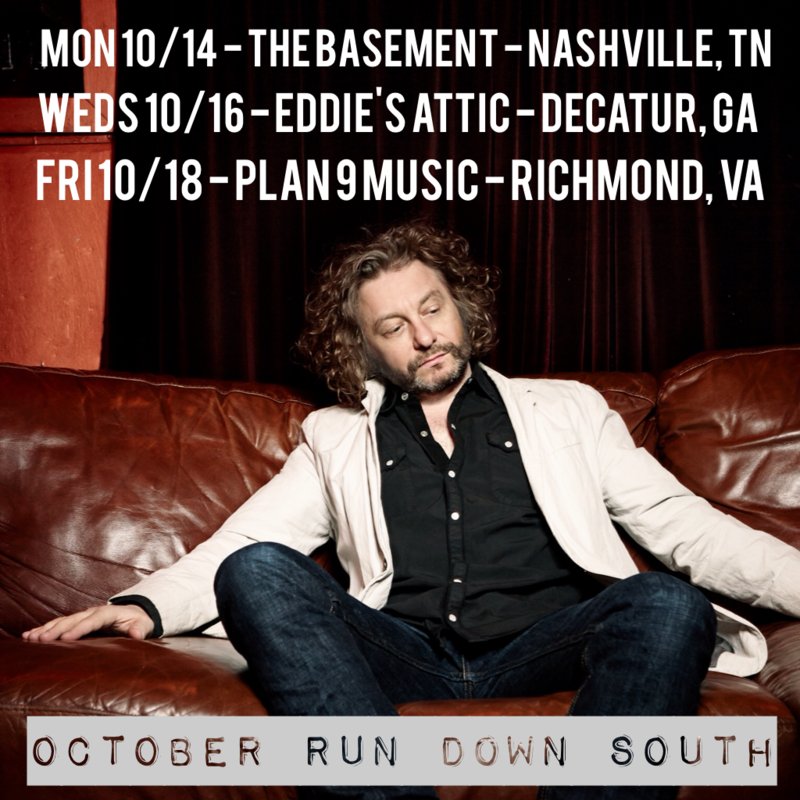 Come see James at the listening room of Eddie's Attic in Decatur on Wednesday Oct 16th at 10:30pm. More info and tickets HERE. James will be performing a FREE acoustic in-store set at Plan 9 Music in Richmond on Friday Oct 18th. No ticket needed, but you can visit their website for more info by clicking HERE.